The additional duties are: (1) To deliver a "ketubah" (marriage contract) providing for the settlement upon the wife, in the case of his death or of divorce, of 200 zuz, if she is a virgin at marriage, or of 100, if she is not. 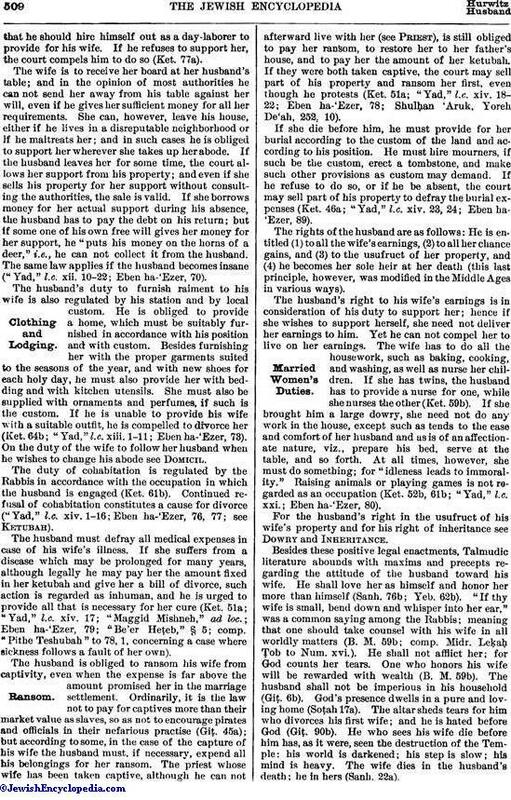 This document includes three conditions ( ) which provide for the sustenance of the wife and the children after the husband's death. 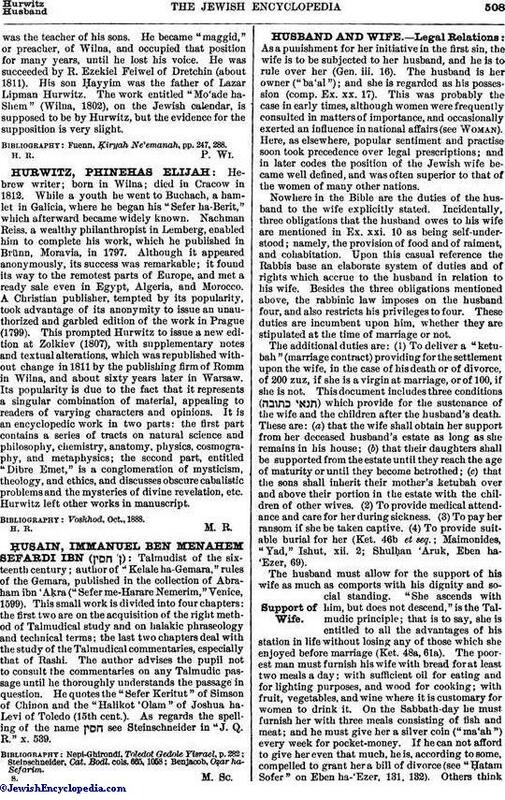 These are: (a) that the wife shall obtain her support from her deceased husband's estate as long as she remains in his house; (b) that their daughters shall be supported from the estate until they reach the age of maturity or until they become betrothed; (c) that the sons shall inherit their mother's ketubah over and above their portion in the estate with the children of other wives. (2) To provide medical attendance and care for her during sickness. (3) To pay her ransom if she be taken captive. (4) To provide suitable burial for her (Ket. 46b et seq. ; Maimonides, "Yad," Ishut, xii. 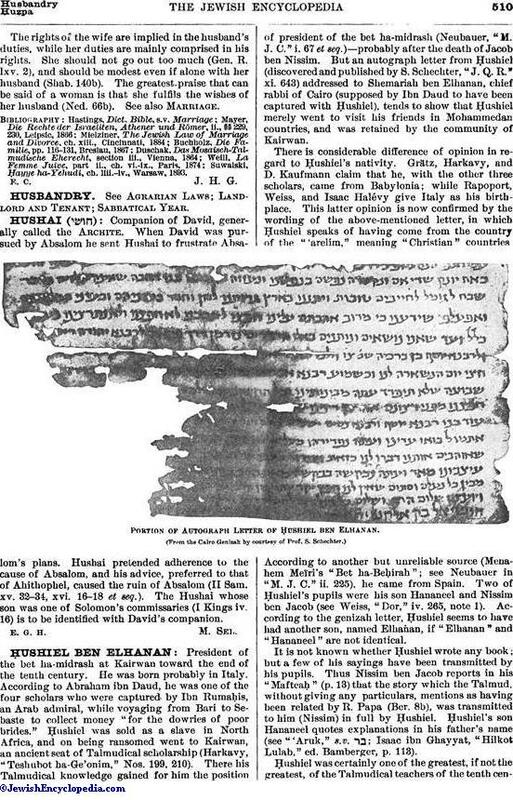 2; Shulḥan 'Aruk, Eben ha-'Ezer, 69).